Do you have a desire to play soccer at a NCAA D1, D2, or D3 soccer team? If so, you will need to register through the NCAA Eligibility Center:(https://web3.ncaa.org/ecwr3/). You will need to create an account which will include your high school transcripts, SAT or ACT scores, and your soccer playing history to prove you still have amateur status. There is a one-time fee of $80 for US Citizens and $135 for International students to officially register. Once you have entered all the correct information you will then be assigned a unique NCAA ID number. You will then use that number to give to NCAA college coaches so they can access your eligibility and have your most up-to-date information. There are certain academic requirements for each NCAA division that a student-athlete must meet to be eligible to play which include certain core courses a student must complete, minimum GPA requirements, minimum SAT or ACT requirements, and a student must graduate from high school. When completing the SAT or ACT test a student must have their scores sent directly from the test center to the eligibility center by entering code 9999 through the testing website (http://sat.collegeboard.org/scores/send-sat-scores or http://www.actstudent.org/scores/send/). This is mostly used for NCAA D1 and D2. The NCAA D3 registration is free and allows student-athletes to create a similar profile that can be viewed by NCAA college coaches. It is recommended by the NCAA that student-athletes register at the beginning or just prior to their junior year of high school but depending on your level of interest in playing college soccer this timeline could be sooner or later. 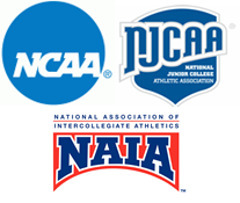 The NAIA is a separate organization that also has an eligibility center with a different set of requirements and rules (https://www.playnaia.org/eligibility-center). There is a one-time fee of $80 for US Citizens, $125 for college transfer students, and $135 for International students. You must meet 2 out of the 3 requirements to be eligible to play in the NAIA. Those 3 requirements involve minimum scores on the SAT (860) or ACT (16), GPA (2.0 out of 4.0), and Class Rank (top half). You will need current contact information, school history, current high school transcripts, and your sports participation information when registering. All of this can be done electronically through the NAIA High School Portal. When completing the SAT or ACT test a student must have their scores sent directly from the test center to the eligibility center by entering code 9876 through the testing website (http://sat.collegeboard.org/scores/send-sat-scores or http://www.actstudent.org/scores/send/). 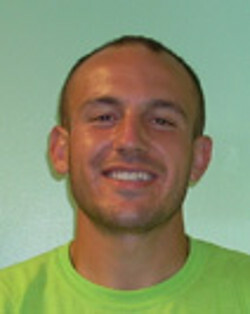 Gabriel has been coaching with Westminster College since 2011 and currently serves as their assistant and teaches Physical Education at the school as well. He has worked 5+ camps with EXACT. Gabriel Kleinert, Assistant Coach at Westminster College (PA), informs students athletes on how to register through the eligibility centers.